Mia MacDonald is the executive director and founder of Brighter Green. She is a New York-based public policy analyst and writer who has worked as a consultant to a range of international non-governmental organizations–including the Ford Foundation, the World Wildlife Fund, the Green Belt Movement, the Sierra Club, and Save the Children, and several United Nations agencies, among others—on issues of environment, sustainable development, women’s rights and gender equality, reproductive health and population, and conservation and animal protection. 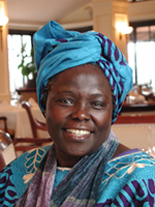 She has published many articles in popular and environmental media, authored a number of policy papers and reports, and contributed to four books, including Nobel Peace Laureate Wangari Maathai’s best-selling autobiography, Unbowed. She is a Senior Fellow of the Worldwatch Institute and has taught in the human rights program at Columbia University’s School of International and Public Affairs and the environmental studies department at New York University. She is a member of the board of directors of the Green Belt Movement International – North America (currently serving as treasurer, after four years as board chair) and the Culture & Animals Foundation, and has been a member of the boards of Farm Sanctuary and the Food Empowerment Project. She received a Master’s degree in Public Policy from the Kennedy School of Government at Harvard University, a B.A. with honors from Columbia University, and also studied English Literature and Language at Oxford University. Anna is a public speaker, author, and advocate for better access to local, climate-friendly food. She co-founded the Small Planet Institute and the Small Planet Fund with her mother, Frances Moore Lappé. 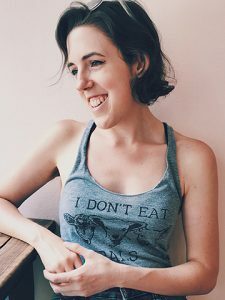 Her books include Diet for a Hot Planet: The Climate Crisis at the End of Your Fork and What You Can Do About It and (with her mother) Hope’s Edge: The Next Diet for a Small Planet. Frances is a noted author, activist, and environmentalist. She founded the Oakland-based non-profit Food First: The Institute for Food & Development Policy, as well as the Small Planet Institute and the Small Planet Fund. Her books include the pioneering Diet for a Small Planet and (with Adam Eichen) Daring Democracy: Igniting Power, Meaning, and Connection for the America We Want. Jim is a writer and attorney. He is the author of An Unnatural Order: The Roots of Our Destruction of Nature and co-authored Animal Factories and The Ethics of What We Eat: Why Our Food Choices Matter with philosopher Peter Singer. Professor Maathai, the 2004 Nobel Peace Prize Laureate, founder of The Green Belt Movement. Sangamithra Iyer is a writer and a licensed professional civil engineer who holds a Bachelor’s degree from The Cooper Union, a Master’s degree from UC Berkeley, and an MFA in Creative Writing from Hunter College. She served as the Assistant Editor of Satya magazine and a co-producer of the Women’s Collective monthly radio program on the Pacifica Station WBAI. She has volunteered at primate rescue and rehabilitation sanctuaries in the U.S. and in Africa. Her writing explores issues related to animals, agriculture, and social and environmental justice. Selections of her work can be seen at Satya magazine, n+1, Hippocampus magazine, Local Knowledge and Our Hen House. Her essays have been anthologized in Sister Species: Women, Animals and Social Justice (University of Illinois Press) and Primate People: Saving Nonhuman Primates through Education, Advocacy and Sanctuary (University of Utah Press). She is the co-author of two Brighter Green policy papers, Skillful Means: The Challenges of China’s Encounter with Factory Farming, (PDF) and Veg or Non-Veg? India at the Crossroads (PDF). In 2014, she authored a short ebook, The Lines We Draw regarding the use of chimpanzees in research. Sangu is interested in tracking the global rise of meat, egg, and dairy consumption and its environmental and social implications. She currently works in public service on watershed protection and water supply infrastructure. Simone G. de Lima is a biologist and Professor of Developmental Psychology at the Universidade de Brasília, Brazil. With a background in activism for democracy, inclusive education, human and animal rights and the environment, she founded and is the director of ProAnima, (Associação Protetora dos Animais do DF—The Association for the Protection of Animals of the Federal District). At the Universidade de Brasília she teaches and develops projects related to the inclusion of children with atypical development and has collaborated with CDS (Center for Sustainable Development) on Human-Animal interaction themes. In addition to collaborating with Brighter Green, Simone worked with a number of non-profit and community initiatives in the U.S. while living for three years in the Washington, D.C. area, including the Tacoma Time Bank and the Washington Animal Rescue League. 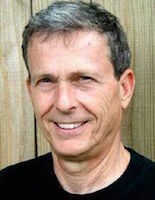 Martin Rowe is the co-founder and publisher at Lantern Books, which publishes books on vegetarianism, environmentalism, animal advocacy, religion, and social justice. 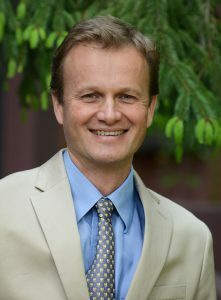 He is the author of The Elephants in the Room, The Polar Bear in the Zoo, and Nicaea, and editor of The Way of Compassion and Running, Eating, Thinking: A Vegan Anthology. He co-founded the magazine Satya. He initiated the Vegan America Project, which is being run under the auspices of Brighter Green. The Project is an investigation of how we might envision the United States of America around the year 2050, should it be no longer possible or desirable to use animals for food, clothing, labor, entertainment, or experimentation. 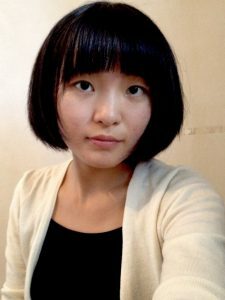 Wanqing Zhou is a Research Associate at Worldwatch Institute, where her studies touch on climate change, energy, and food systems. She is also an International Assistant with the Alliance to Save Energy, where her work focuses on climate and gender in Southeast Asia, and U.S.–China sustainable development exchange. Being vegan since 2009, she believes in the power of love that humans have for nature, and the brighter balance this love can lead to. She graduated with a Bachelor’s degree in Biotechnology and Ecology from the University of Hong Kong in 2011, and received her Master’s degree in Climate & Society from Columbia University. She also worked on freshwater conservation and public education at the World Wide Fund for Nature China Programme Office, and was an intern at China’s National Center for Climate Change Strategy and International Cooperation, where she participated in the pre-study of the emission trading scheme pilot in Beijing. In the summer of 2014, Wanqing toured multiple cities in China and shared Brighter Green’s documentary film What’s For Dinner? with Chinese and international audiences. Caroline Wimberly is a Program Associate at Brighter Green. She began her work at Brighter Green as an intern in February 2011. She graduated from Duke University in 2007 with an AB in Art History and minors in Psychology and Religion. She moved to New York City in 2008 to attend the French Culinary Institute, not only to strengthen her culinary skills, but also to learn about the food industry. She also worked for a year as the event planner at Artisanal Bistro. While she (mostly) enjoyed working in the restaurant industry, she is devoted to animal welfare issues, as well as sustainable agricultural practices and fair food pricing. Caroline has attended several COP meetings on behalf of Brighter Green, leading conversations and facilitating dialogue about animal agriculture’s role in climate change and connecting with partners to build larger momentum for policy action. She has worked on the post-production of our two documentaries, What’s For Dinner? and Six Years On, as well as other short videos, and has coordinated the China Program since its official beginning in 2014. Outside of the office, she dabbles in green home renovations and interior design, impact investing, and local activism. She hopes to encourage more people to adopt a whole foods, plant-based diet, as well as educate people about the animal agriculture industry. Emily Lavieri-Scull is a Program Coordinator at Brighter Green. She began working with Brighter Green in August 2015. She graduated from Vassar College in 2015 with a BA in Psychology. She moved to New York City shortly after graduation to explore her passion for environmental issues, animal rights, and food. Emily also works for Lantern Books as Publishing Associate, The Green Belt Movement as Communications and Operations Coordinator, and the Culture & Animals Foundation as Website Coordinator and Social Media Director. While not working, she enjoys photography, cooking and blogging about vegan meals, which she shares here, and hanging with animals. Miao Jie is the Chinese Social Media Manager at Brighter Green. She is a freelance educator and documentarian based in Jiangxi, China. She holds a BA in English from Jinggangshan University in Jiangxi Province. For the past few years she has been working, first as a volunteer and later as an intern, with IFChina Original Studio, a local NGO that aims to collect social memories. Miao joined the What’s For Dinner? Wechat social media campaign at the beginning of 2015 and since has worked extensively on Chinese–English and English–Chinese translation. She leads a vegan lifestyle and is passionate about issues related to the globalization of animal agriculture and how they affect the lives of ordinary citizens.